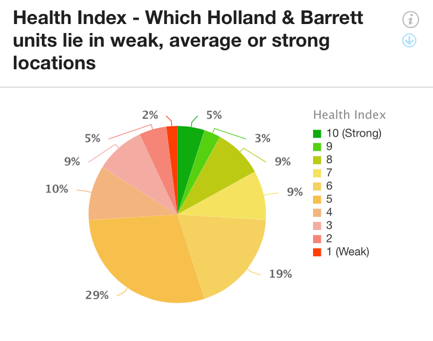 How healthy is Holland & Barrett's estate? Hitting the headlines recently has been the news that Holland & Barrett (H&B) is currently undergoing acquisition by L1 Retail for £1.8 billion. Following on from this, LDC's two talented Data Insight Interns, James and Marianna, have used LDC data to review H&B’s estate to understand the position of the UK’s largest health food retailer. Of 1,805 stores across GB that fall under the Health Foods and Products category, approximately 38% are owned by H&B (679 stores) and they have seen +2% growth in the number of stores in the last year. Health and wellness is an attractive industry for investment as it is becoming increasingly present in consumer’s minds. In 2009, H&B’s acquisition of Julian Graves (one of its key competitors) was referred to the Competition Commission due to anti competitive concerns, however the acquisition was approved later on in the same year. Who are H&B's main competitors? H&B’s main competition in the Health Foods and Products sector comes from independent stores. The Independent sector is defined by brands that have four or less units nationwide. Currently Independents account for approximately 49% of the sector, with store growth low at 1% compared to this time last year. H&B also competes with dominant firms such as Boots and Superdrug, which fall under the category of Chemists, but also sell health foods and products. Of the total stores for these three brands, Boots accounts for a whopping 62% of units with 2,373 stores, Superdrug takes 20% with 760 stores in the market and H&B makes up the remaining 18%. As can be seen in Figure 2, there is fierce competition between these three brands. 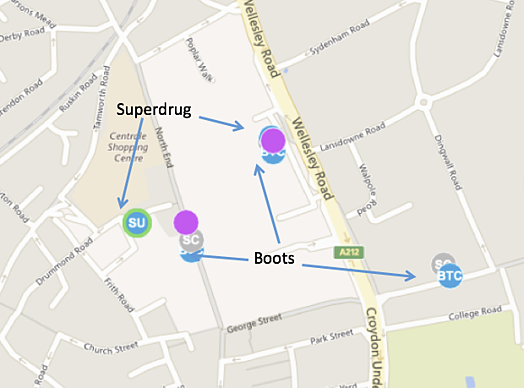 The purple dots on the map indicate the locations of H&B stores with Boots and Superdrug close by, which is an example of how these brands are often located within close proximity of each other. Nonetheless, their largest and fastest growing competition from the multiple sector comes from Grape Tree, which currently operates 80 stores nationwide, with store growth up +9.5% since last year. Grape Tree has opened five new stores within a 200m radius of a H&B in the last 12 months, which shows that they are not afraid to tackle this health food veteran. In terms of location, occupiers in the Health Foods and Products sector typically locate on the high street with over 1,000 stores nationwide (55% of the sector) located on GB high streets. The next most popular location is shopping centres with 22% of total units located in these schemes. This sector however rarely locates on retail parks, a reason for this being that consumers demand convenience and retail parks often require further travel as well as being located near larger supermarkets that may carry the same product assortment. Reviewing data for Greater London and Scotland reveals potential for expansion in these regions, with four locations in each area that have at least one of the competing brands (Grape Tree, As Nature Intended, Cambridge Weight Plan, Health Rack, Met-Rx and Vitamin-Shop) present, while H&B does not have a store within a 200m radius. Met-Rx, which has 26 stores nationwide, have closed 11 stores located near H&B in the last 12 months (within 200m radius). Met-Rx is owned by the same umbrella company as H&B, so these closures could have been due to consolidation of the brands’ presence in towns to avoid cannibalisation within the wider group. How do locations with a H&B perform? 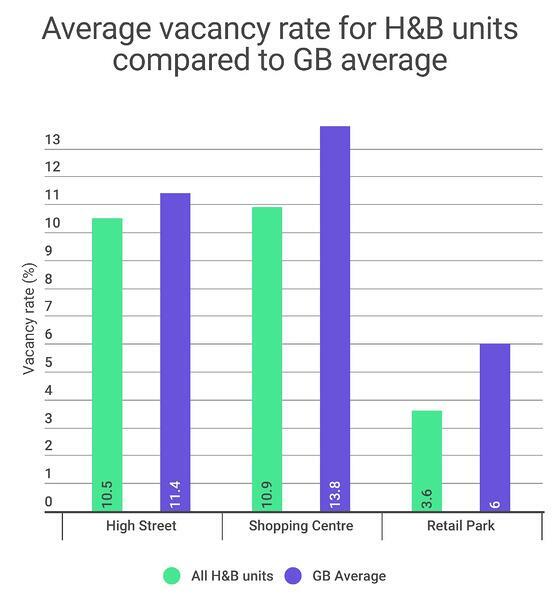 H&B stores have often been located in areas with a below GB average vacancy rate across shopping centres, high streets and retail parks for the past five years. This shows the estate is located in prime areas, with few vacant units, revealing a local vibrancy around their stores. Although the vacancy rate is considerably lower for retail parks, there are significantly less H&B stores present in these location types. The West Midlands region has seen the largest change with regards to the number of stores with a +7% increase in the last 12 months. 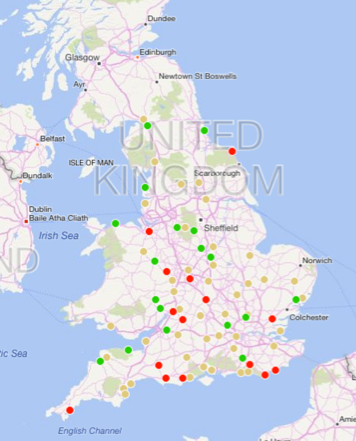 H&B locations that have the highest health index (10/10) are: Greater London, Manchester, Edinburgh. 17% of the total estate sits in locations with high health index scores (8-10) and 57% with health index ranking between 7 and 5. 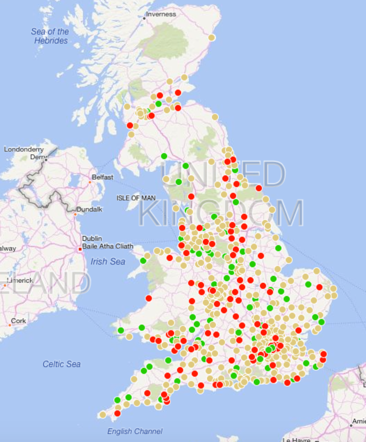 H&B locations with the lowest health index score (1/10) are: Ayr, Barrow-in-Furness, Blackpool, Bolton, Boston, Great Yarmouth, Paisley, Rotherham, Stockport, Stoke-on-Trent, The Wellgate Shopping Centre (Scotland), Walsall, Wolverhampton, Wrexham. In the last 12 months, 15% of H&B store locations have improved, 16% have weakened and 69% have remained stable. H&B’s next closest competitor in the Health Foods and Products market, Grape Tree, have 23% of store locations improving, 19% weakening and 58% recorded as stable. This reveals that whilst the slightly more of the H&B estate is in locations that are improving or stable, Grape Tree have more stores in locations that are improving. There are numerous locations where both H&B and Grape Tree are located that are weakening; namely: Banbury, Bridgnorth, Cirencester, Dorchester, Eastbourne, Falmouth, Hastings, Whitby, Yeovil. In order to maximise on their target audience in any catchment for an area, H&B may consider locating in areas that include stores such as Sports Direct, and other fitness related stores, as well as gym facilities to target the growing number of gym goers, who may also be interested in the health food and supplements products that H&B offer. For example, there are 19 locations in Greater London alone where a Sports Direct and a PureGym are present and H&B are not within a 200m radius. This could be a potential growth strategy for H&B and could provide them with access to a new market in a new area. To find out how you can get access to this kind of insight on retail and leisure brands in GB, contact sales@localdatacompany.com. For more information on internships at LDC, please email careers@localdatacompany.com to see if we could offer you a placement working alongside our team.